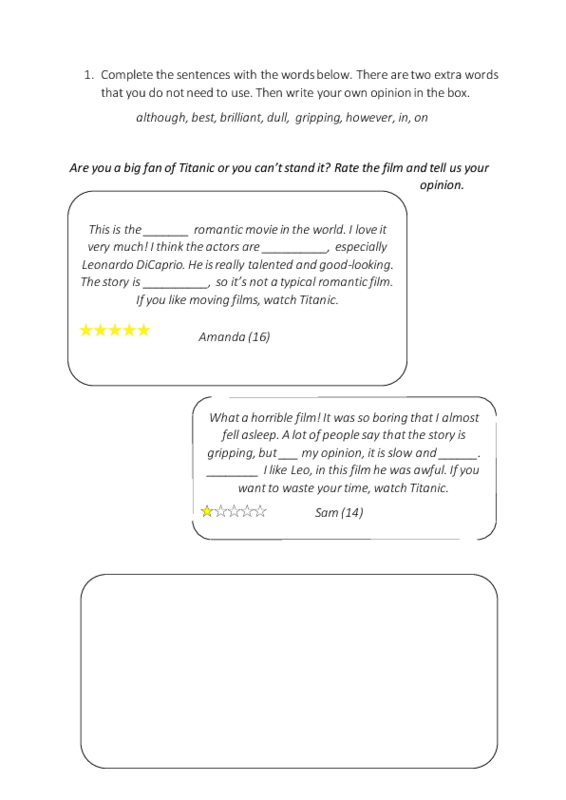 This worksheet can be used to teach students how to write their opinion about a film. It may be used as an introductory task before teaching them how to write a longer film review. First students have to read two opinions about Titanic and fill in the gaps. 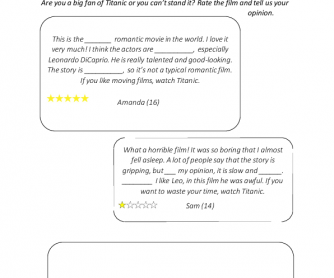 After that they can practise how to write a short paragraph, summarizing their opinion about the well-known movie, Titanic. This worksheet is suitable for A2+/ B1 levels.